About 25 years ago, when “citizenship studies” was just beginning as an academic discipline, a colleague from the University of Toronto asked me if I knew that there were people in the world who were stateless. I replied that I did, as my father had been stateless for over 30 years. Now I have just co-edited a book with my colleague at Wilfrid Laurier University, Margaret Walton-Roberts, called The Human Right to Citizenship: A Slippery Concept; it will be published soon by University of Pennsylvania Press. There’s a section on statelessness in it. 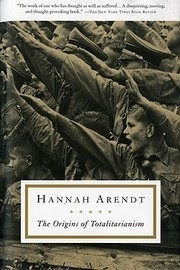 Most people who study statelessness refer to Hannah Arendt’s discussion of it in her book, The Origins of Totalitarianism (pages 276-281). Arendt herself was a German Jew rendered stateless by the Nazis, and German Jews were one of the groups she was referring to in her discussion. In my last blog, ( https://www.blogger.com/blogger.g?blogID=6700283514603333187#allposts), posted October 3, 2014, I wrote about our life in Canada after we arrived here from Britain in 1951. My father arrived in Britain two weeks before World War II, thanks to the assistance of the Swiss Quaker (Sister Annie Pfugler) who took him in when he arrived in Zurich, and some English Quakers named Backhouse. In 1940 the British interned him as an enemy alien for six months on the Isle of Mann, and then sent him to Canada for another year or so of internment. (You can read about the internment in Canada of Jewish and non-Jewish refugees from Axis countries in Eric Koch, Deemed Suspect, Toronto, Methuen, 1980). Then my father returned to Britain and joined the British army, married my mother, and became a British citizen in 1947. He held on to his British passport the rest of his life, even when he became Canadian. “I was born in 1913, son to a family physician. My father succumbed to pneumonia in 1918, which he had contracted on the battle field. He was Jewish; my mother is Aryan. I spent four years at primary school and the following six years I attended secondary school [Gymnasium]. In 1930 I matriculated, having placed first among the graduating students. I left school in order to begin an apprenticeship at an oil manufacturing firm in Leipzig. After a two-year training period the last half -year was credited to me and I was appointed by the same firm to the post of Spanish correspondent. I was dismissed from my position in 1933, due to the upheavals that had in the meanwhile broken out in Germany. However, shortly thereafter I was able to obtain a position at the Leipzig sales office of I. G. paints industry, which was still politically unconnected at the time. I worked there for five years, as a technical sales correspondent. However, the Nazi industrial cell [? Betriebszelle?] had in the meanwhile gathered information about myself and found out that I am of non-Aryan descent, something my well-intentioned boss had not revealed. This, around 1936, was the beginning of the action against myself, which, between 1937 and 1938, had come to such a point that I decided “voluntarily” to quit my position. All the more so, as my employers were in absolutely no position to offer me protection, as they would then be in danger of themselves being politically suspect. Being stateless–my grandfather was Russian, as was my father, even though his country of birth was Germany–I was unable to obtain any residence or work permit abroad. I thus went to Italy, as a visitor, in order to seek to obtain a residence permit in that country for a protracted length of time. However, on October 4th, 1938, I was verbally informed by the vice-prefect of Milan that, unless I had departed Italy by October 9th, I would be escorted to the German border by two carabinieri. I then spent another two months in Italy illegally and during that time I sought to obtain immigration permits from all of the consulates. However, because of my stateless status the answer everywhere was negative; alternatively, the landing fees in the states overseas were so steep as to be unaffordable. At that time I had about 1000 lire, which evaporated throughout my subsequent wanderings. After some well-meant advice from elderly Italian friends, and unable to find any lodging in Milan because of my illegal status, on December 8th I left for Yugoslavia. After walking for eight hours I got to the Yugoslav border, in a heavy snow squall. There I was picked up; however, I was treated with great kindness and was passed along, from one place to another, over a distance of about 12 kilometres. Throughout I was accompanied by a soldier, carrying a loaded and cocked rifle. This pleasant company was to stay at my side until February 12th. At the fifth station I eventually was made to stay, for two days. While I was not locked up and was fed very well, I was not allowed to take one step into the open air. The next thing I was told: back to Italy! Back we went for five hours, in silence, beside the soldier with rifle and mounted bayonet. All this because I am stateless. Fortunately my guide had the day previous received three Veramon-powders [a painkiller?] from me, [end of page 1] for his intense tooth ache. He thus stopped right at the border and said: “ Fujine - frontiera-Italia-Rakek.”, that is to say, “Run back to Italy and then take the train back again to Rakek” (Yugoslavia). I thus walked for about 100 metres in a straight direction and then turned around again right back to Yugoslavia, skirting the customs building. I then hiked for five hours, up the highest heights of the Yugoslavian frontier mountains, heading inland. Snow had freshly fallen and was about 60 cm high; I wore dress shoes and got one foot bath after another. I couldn’t walk along any roads as I had a hellish fear of being nabbed once again. However, even the strongest will fails in the face of exhaustion and excessive exertion and in the end I was so spent that I just didn’t care about anything anymore. In order to avoid drawing attention to myself I had already sacrificed my small suitcase and briefcase containing much nice underwear and I now walked straight into the next larger village, along the middle of the main road. A policeman who walked my way didn’t glance at me once, for which I was very grateful to him. To my dismay the train station to which I wanted to go was in exactly the opposite direction that I had walked. I thus had to walk back 12 kilometres; I was very dejected and my legs failed me. Coincidentally, a peasant with horse and wagon appears behind me just at that moment, who understands a bit of Italian. I ask him if he would take me along. Yes, with pleasure; I climb up the box beside him, shivering and cold. We drive for about 20 minutes when I notice with a start that we are heading straight for the customs house, from which I had been sent off this morning. .... I promise my peasant 50 dinar if he can get me by the place without being detected. He is unflappable: “We’ll get by alright.” And he is right! Nobody come from the building, no guard comes our way. I heave a sigh of relief. We finally get to the stop from which the bus is supposed to take me to the next larger village or town with a train connection. However, the bus won’t arrive for another two hours. Eventually I am taken by bus to S. At every stop in between five policemen–however, everything is in order. By train I drive to Maribor, where a friend of an Italian acquaintance of mine, a Slovene, would be setting things in order for me. Unfortunately, he was too much of a coward to do even the barest minimum for me. After 2 days I drive to Belgrade. I was to rue my notion that I might be able to go underground more easily in this large city. I was seized after no more than five days of freedom. “So, you emigrated without a visa! What are you doing here anyway?” “My passport has been taken from me.” “Unless you take a ticket to the border and are away from here by 5 ‘o’clock you will be arrested.” In the course of my search for a room in Belgrade I had met a Russian woman, who had fled Russia back at the time of the Russian revolution. She showed much sympathy for my situation. “Well, you state that you have no money to drive back; the least the state can do is pay for your return journey”, was her opinion. I go back to the office and inform the bureaucrat working there, a most unlikable person with a malicious expression. A lengthy report is taken, where are you from? Why? Aha, half-Jew etc. “Well, for the time being you’ll have to stay here, for a couple of days. Of course, you will get room and board.” The room was—a prison cell, 1.5 x 3 m. The board consisted of water and a kg. of bread per day. Christmas passed, and then the new year; early at 7 o’clock a walk, always in a circle, a horde of ragged, coarse guards, who were generous with their face slapping and kicking. Reading forbidden, newspapers forbidden. I didn’t understand any Serbian. The light was kept on all night long, there were no mattresses for sleeping but only the hard wooden floor, for 4 weeks. For no other reason but because you are stateless and do not have any right to live and work anywhere, because you are “non-Aryan” and regarded as a second-class human being. The only admirable thing was companionship. Nowhere is there better companionship than in prison. There were men there, genuine men, who wasted away in prison for their convictions and who were tortured. Yes, tortured! Hit on the soles of their bare feet, with ox reams braided with wire, 50, 100 times or more! I saw a man, 55 years of age, who had been denounced as Macedonian: at 5 o’clock in the evening he was summoned for “questioning”; he returned at 8 o’clock, led by two policemen, as he was no longer able to walk on his own. He had to endure the caning of the soles of his feet on the grounds merely of a suspicion: to watch all of this was worse than anything else... I had stomach cramps for 3 days; you could relieve yourself only during the walking hours. Otherwise there was a bucket; no one, of course, wanted to use it, in consideration of his comrades. Later on we shared one large room with 15 political prisoners. I had been brought in on December 17th; at midnight on January 14th a gendarme took me to the Italian border. The darkness was pitch black and rain was streaming down. Suddenly, a flashlight flares. “Alti le mani!” (Hands up!) I look into the barrel of a revolver and am in the hands of the Italians.